You may know that the Friendly Octopus – which “reaches out” with its many arms into the community – donates 12 percent of its net revenue each year to a chosen charity. 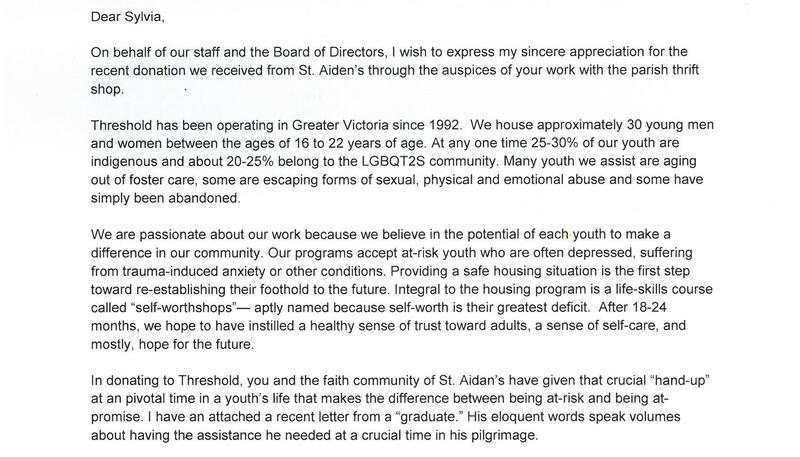 This year we selected the Threshold Housing Society, an organization that provides safe, stable housing for vulnerable youth. They were grateful for our support, and we are grateful for yours!